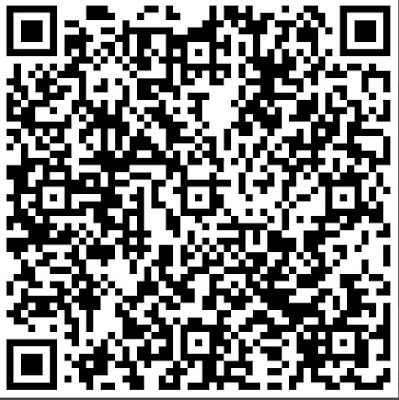 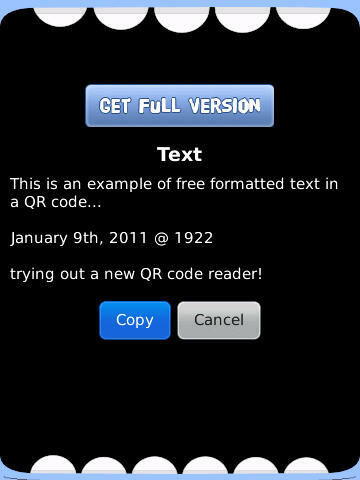 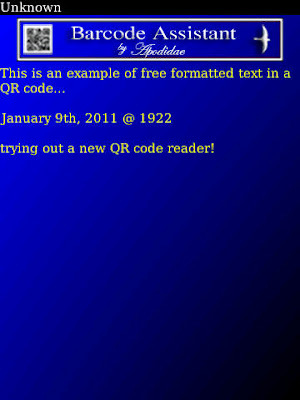 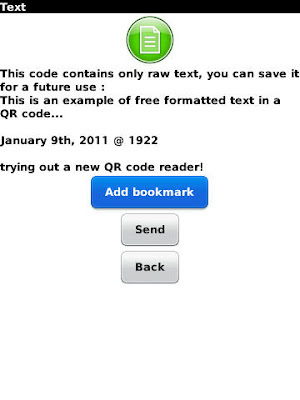 Given that I've had mixed success reading free-text QR codes, I thought I'd try out some readers on the one above... Some resulting screen shots are shown below - success with Barcode Assistant, failure with ScanLife, success with QR Code Scanner Pro, success with Code Muncher, and success with Lynkee.. 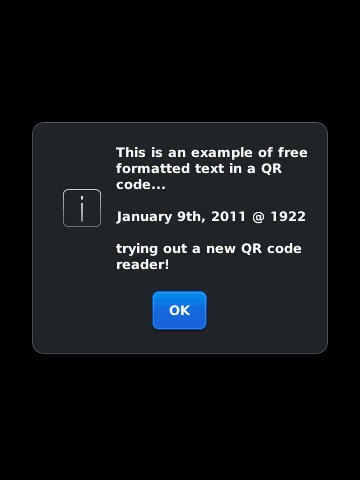 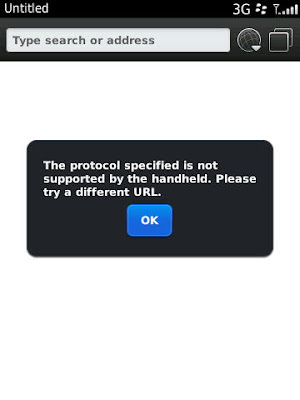 I also had a failure to read with MobileTag (no screen shots).